that my experimentation of posting unedited raw reviews direct from users doesn’t work on the Part 2 review. the feedback from Shawn Quek. Thank you Shawn for the head up! To reward Shawn for providing us valuable feedback, I decided to invite Shawn to be the reviewer for the Part 3 review. 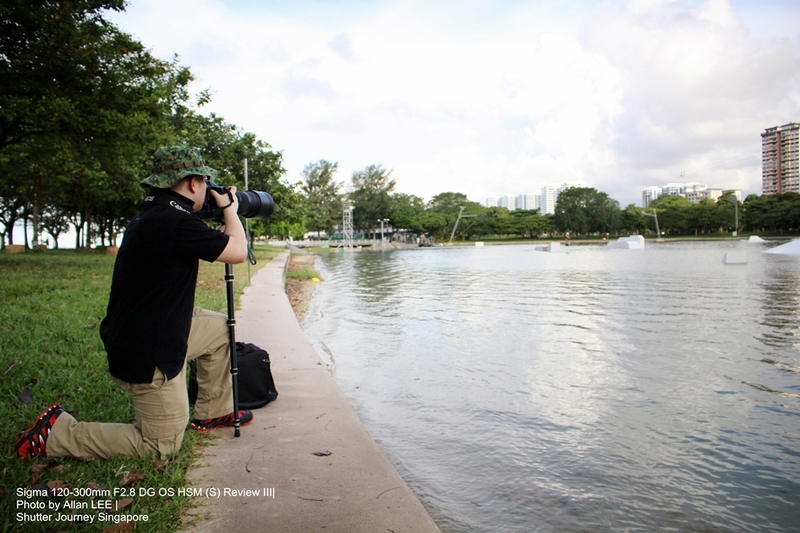 We met at East Coast Park, Singapore on last Sunday morning and after explaining to Shawn on the functions/modes/buttons on the new Sigma 120-300mm F2.8 DG OS HSM (S), I handed over the lens to him. Let’s hear what Shawn has to say about this optical art piece. Picture: Shawn “feeling” the weight of this Sigma Monster Lens. 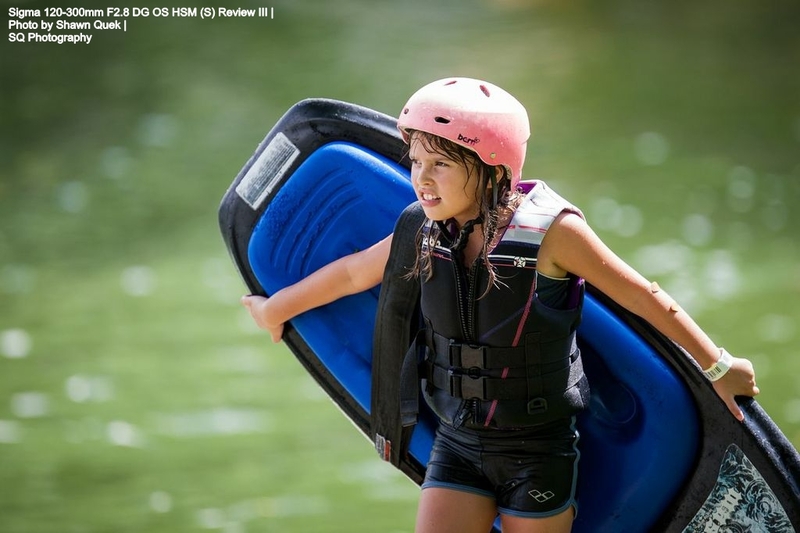 The Sigma 120-300mm F2.8 DG OS HSM (S) is a remarkable lens to behold. As the third generation of the 120-300mm lens and part of the new ‘Sports’ line of Sigma, this lens feels like a polished and refined article. Constant bright f2.8 aperture, prime-like image quality, great ergonomics, this lens should be a winner as it stands out from the competition! Picture: Getting to know the Lens better. For a super telephoto lens, cosmetically it looks and feels great to the touch – it has a nice matte black exterior made from the new TSC material (Thermally Stable Composite) with touches of engineering plastics and rubber parts. Personally I prefer the new version which uses the TSC for the lens barrel over the older ‘EX’ finish. The lens body feels solid, the tripod mount is well-spaced and sturdy, and the zoom/focus rings are very tactile & responsive. The newly designed lens hood is similar those of the Canon L telephotos, a step-up from the previous bayonet mount type. 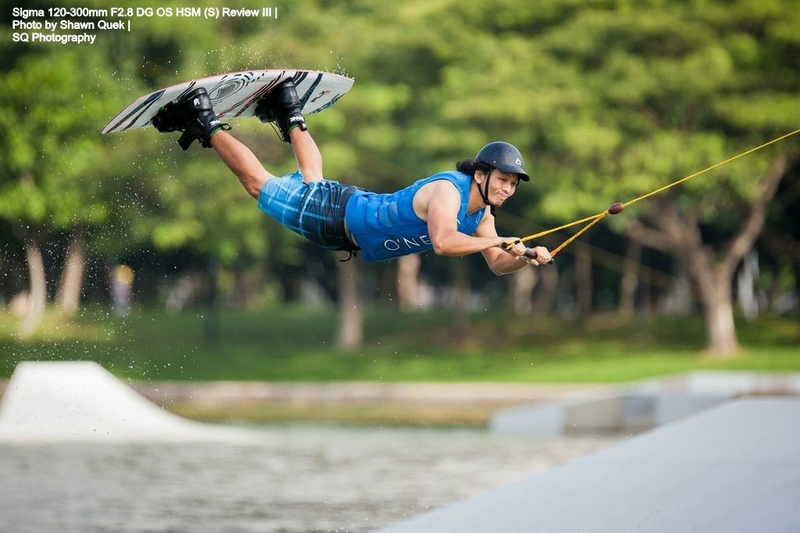 Picture: How Shawn Quek shot the first 2 photos of the cable skiers above. Having owned & used the second generation Sigma 120-300 and Canon 300L I/II, the weight of this lens was expectedly manageable. This lens is definitely “hand-held friendly” for an extended period of time (with some weights training perhaps! ), but needs getting used to. 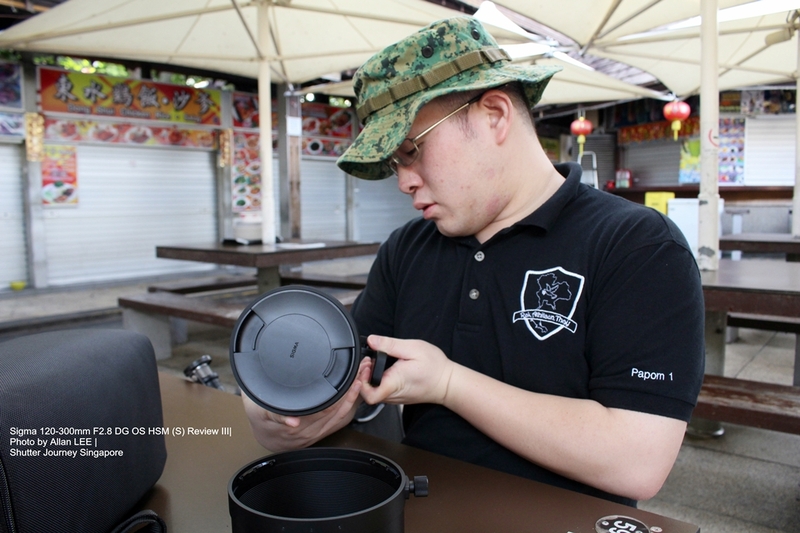 The 4 stops Optical Stabilizer (OS) further enhance the hand-held shooting capability. 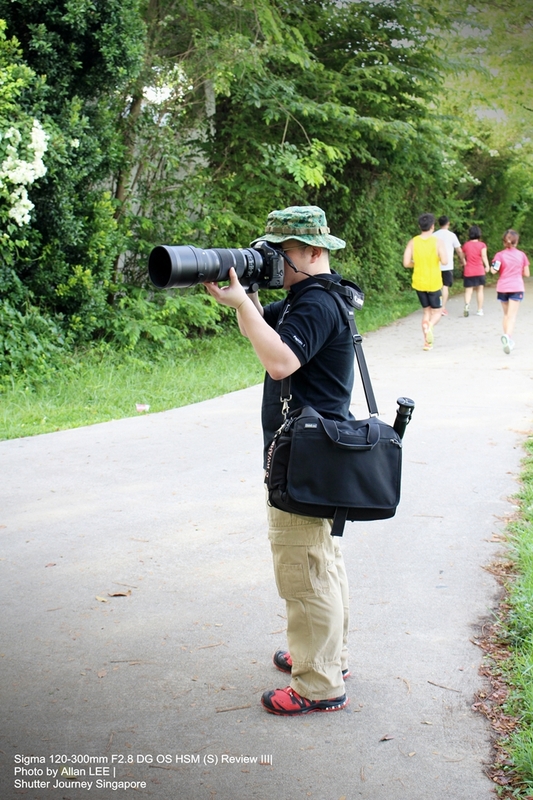 A monopod or tripod would be recommended, but personally I find it restrictive and less maneuverable. One gripe is that the lens weight is balanced towards the front element, meaning that it feels heavier than it actually is. Picture: Shawn Quek shooting the female runner in blue above. 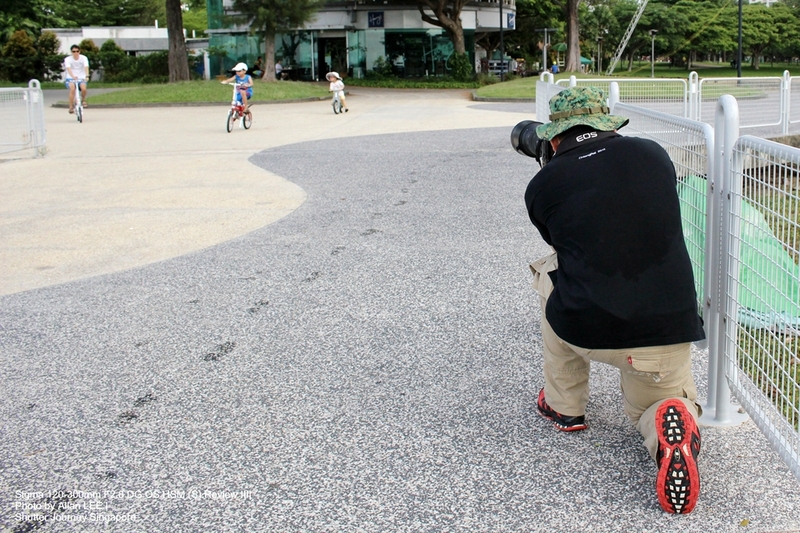 Picture: Shawn Quek shoot the “boy on bicycle” photo above. 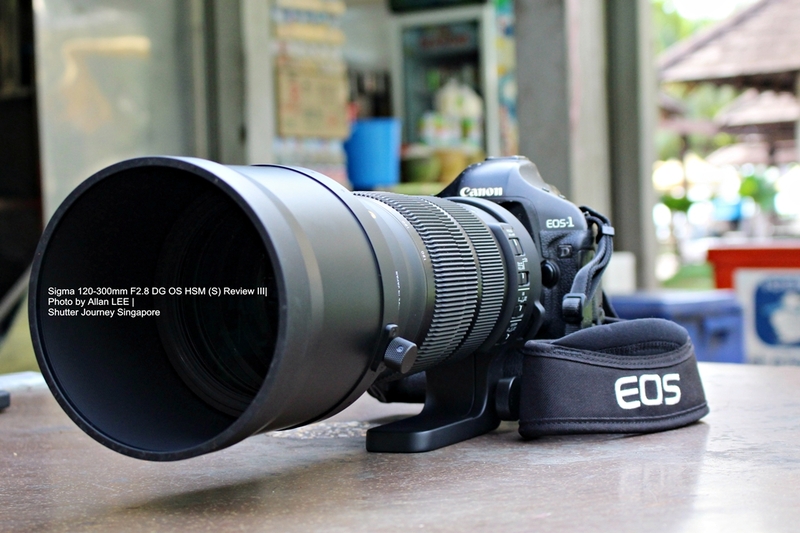 The good ergonomics of the Sigma 120-300 is matched by its impressive image quality. Compared to the previous 120-300, IQ has improved in overall sharpness and contrast (especially at wider apertures). This new (S) lens produces good contrast, punchy colours, good sharpness and lovely creamy bokeh (as seen from the review photos here). To my eyes, it is on par with the highly regarded Canon 70-200L f2.8 IS II, and trails closely behind the Canon 300L f2.8 II (losing out in bokeh and slight sharpness). Sigma lenses are known to produce more yellow-ish or warm colours compared to Canon variants, this doesn’t seem to be an issue here. 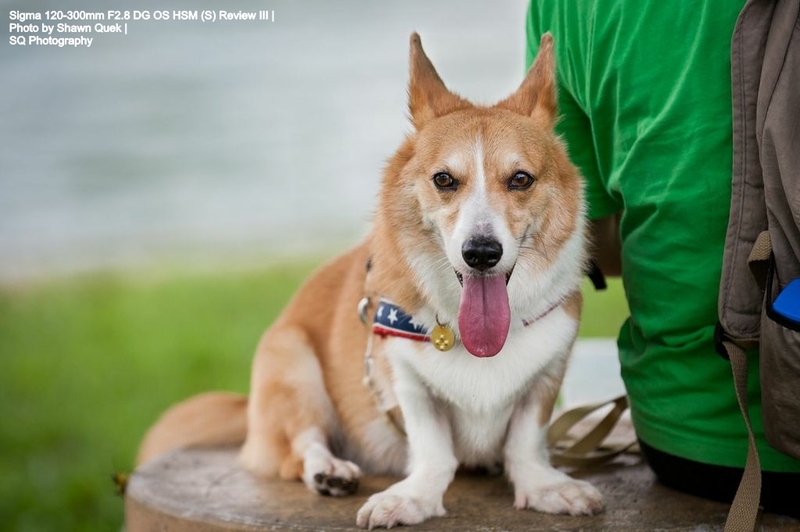 Photo credits: Shawn Quek, SQ Photography – Excellent for shooting pets. 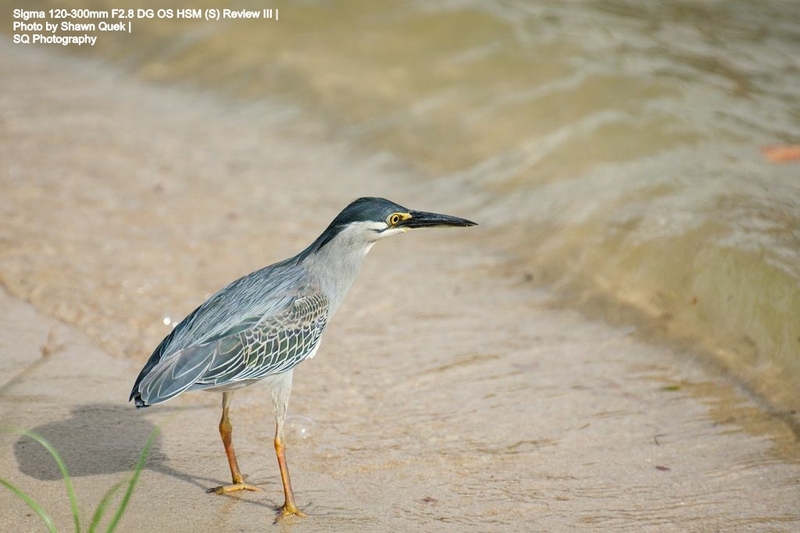 Photo credits: Shawn Quek, SQ Photography – superb lens for birding photos. 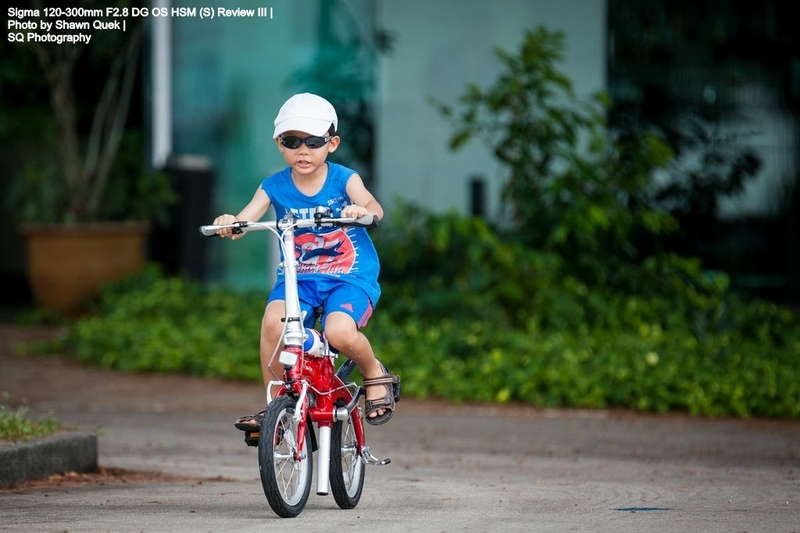 Photo credits: Shawn Quek, SQ Photography – excellent for capturing moments like this. Good IQ and ergonomics are useless if AF performance cannot keep up. I was delightfully surprised to find great improvements in this new lens – AF speed and accuracy was superb. 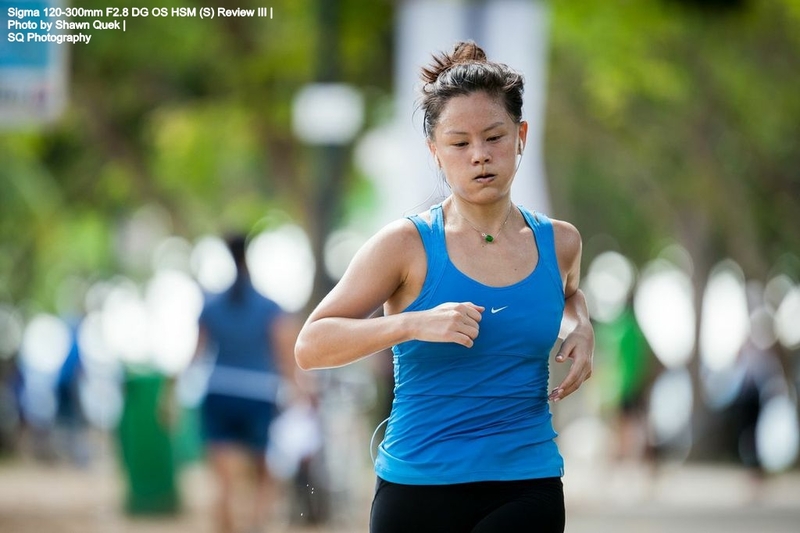 Paired with my Canon 1D3 in AI Servo mode, tracking cable skiers, cyclists, runners was fast and accurate, and I achieved a high hit rate of 8 out of 10 (sharp photos). Higher hit rate could probably be achieved with more practice and better technique. I also tested a 1.4x teleconverter on this lens, but AF speed was noticeably slower, and IQ was visibly reduced at widest aperture. Perhaps I am using another brand’s teleconverter, maybe the result might differ if I had used the Sigma’s teleconverter instead. On conclusion, I’m impressed with the AF performance, I’d pick up this lens any time for critical sports work. So who would this lens suit? For starters, sports enthusiasts looking to own their first super telephoto, with the added versatility of zoom and hand-held capability. 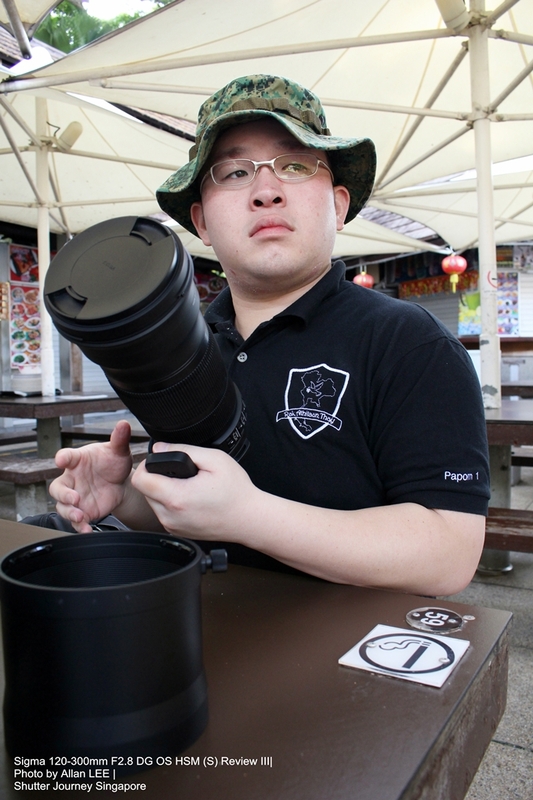 Nature shooters and birders should also consider this lens seriously. Concert and stage photographers would love this zoom range and bright f2.8 too, as would photojournalists. Also, as seen from my sample photos, this lens could also suit the weekend shooter looking to take photos of his/her children, pets! If the focal range of 120-300mm is something you often use/need, then you should seriously consider the competitive priced Sigma 120-300mm F2.8 DG OS HSM (S). a Sunday morning. 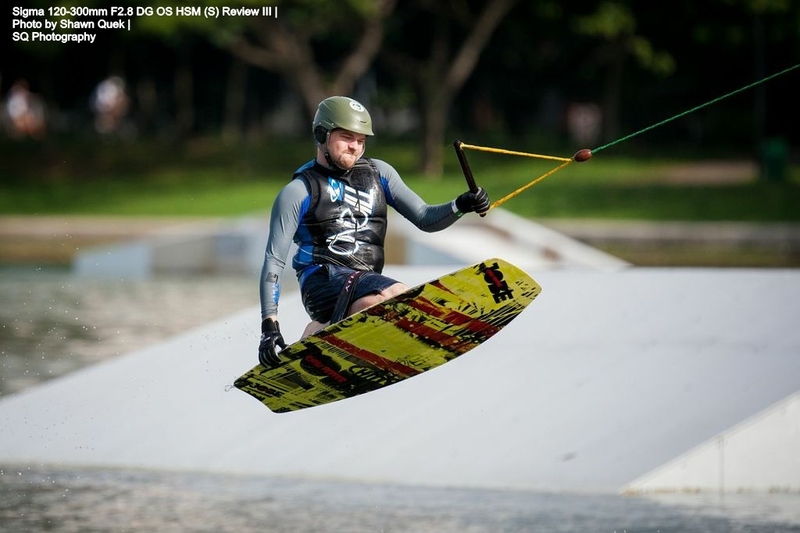 Thank you for the awesome photos and the great review too! and hopefully you will continue to support this site. Gracia!